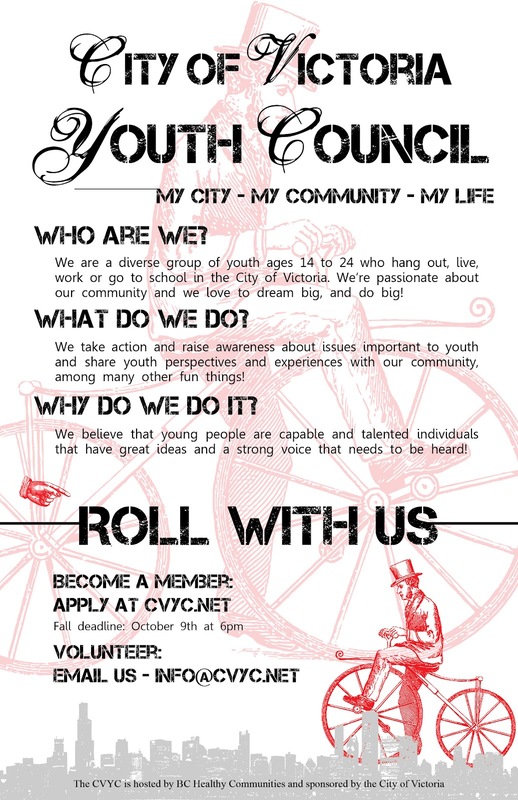 The City of Victoria Youth Council is Recruiting! The City of Victoria Youth Council (CVYC), a BC Healthy Communities program, is recruiting new members and is looking for youth under 24 that live, work and hang out in Victoria and would love to get involved in their community. This group of passionate young people takes action and raises awareness about issues important to them and share youth perspectives and experiences with the community. If you would like to get involved or if you know of any youth that would love to join please visit www.cvyc.net to apply. Questions? Email the CVYC Coordinator Kluane Buser-Rivet at info@cvyc.net. Deadline to apply is Tuesday, October 9th. The 411 Seniors Centre is a resource and drop-in centre for seniors that provides tools, services, programs and activities that enable low income seniors to live independently and thrive in our communities. The 411 Seniors Centre aims to enhance the quality of life of older adults, to assist them in achieving and maintaining independence and to improve and sustain their physical, mental, social health and wellbeing. The centre strives to empower older adults to build and strengthen a sense of community and to change and enhance their quality of life. The Centre’s organizational governance and volunteer constitution provides opportunities for seniors to be proactive. 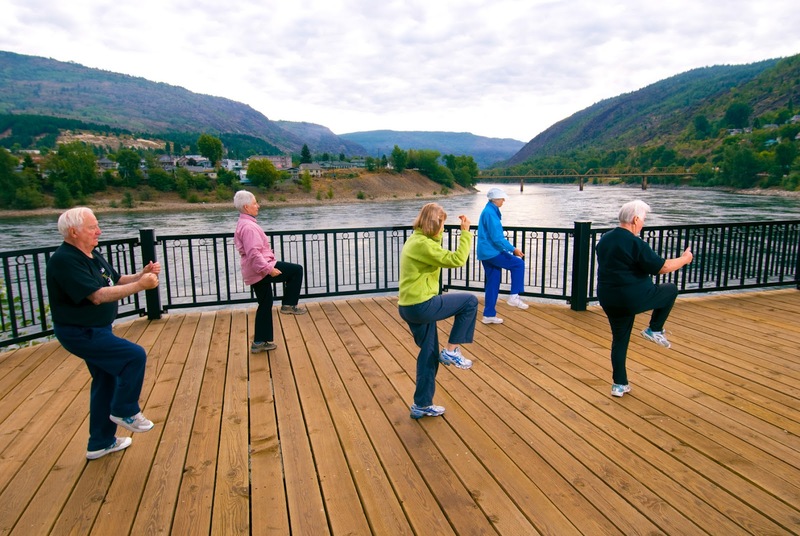 The 411 Seniors Centre offers year round programs and workshops. Each program and workshop provides older adults with opportunities to meet new friends, acquire new skill sets and abilities, improve overall health and enrich their respective quality of life and that of the broader community. They also offer free Information & Referral services run by volunteers who assist in connecting seniors and those on disability with resources and services within the community. Some of the issues they can assist with include: seniors benefits, housing, income tax among many others. They provide this service in other languages such as: Punjabi, Mandarin, Cantonese, Swedish and Dutch. To find out more about these great services and their program calendar please visit: www.411seniors.bc.ca. Kimberly McLeod grew up in Dease Lake, BC and graduated from The University of Northern British Columbia in the spring of 2008 with a Bachelor of Science in Nursing and worked as an RN for two years at Stuart Lake Hospital in Fort St. James. Having decided that a nursing career was not for her, she began working in Prince George as the Community Outreach Coordinator and Liaison of a joint pilot project related to the prevention of respiratory illness though education with the Prince George Metis Community Association and the Asthma Society of Canada. 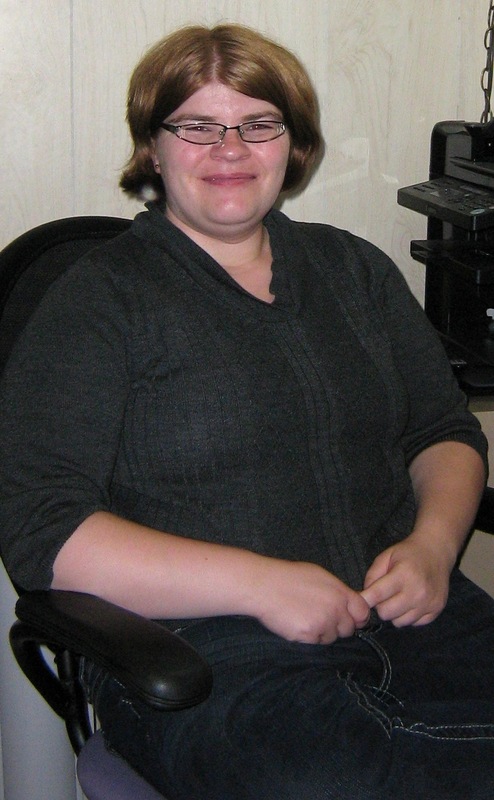 In 2011 she began working with the Self-Management BC, first as a volunteer and then as an employee. When she first learned of the program, she knew right away that she wanted to be a volunteer leader. Self-Management BC offers free, interactive workshops for adults with chronic health conditions (such as diabetes, heart disease, arthritis, mental illness and COPD) and is led by pairs of trained volunteer leaders in their home community. As a health care professional, she believes in the importance of providing the knowledge and tools for those dealing with ongoing health problems and the need to live healthy, active lives. As someone who is living with a chronic health condition herself, volunteering with the program was a way to help others and learn new ways of managing her own condition. Currently, she is the coordinator for the programs in Northern BC and she is working hard to build relationships with community organizations and to get the word out about self-management programs. In her spare time, she is a Spark leader with Girl Guides and is a member of Parish Council at St. Michaels and All Angels Anglican Church where she also writes the newsletter. If you would like to contact Kimberly, her email is kamcleod@uvic.ca. To find out more about Self-Management BC and the free programs offered across the province, visit www.selfmangementbc.ca. “Today, we are beginning to understand that a community, like the people within it, is a living organism, and its health depends on all its systems functioning, both on their own and together. [...] It also recognizes that health, social and economic policies need to be coordinated, and that communities can provide an atmosphere that supports policy makers to make the right choices.”1 While working together for a common purpose is simple in concept, it is far from easy. Local governments are one of many key players leading change in our communities. Armed with administrative structure and community-oriented mandates, it makes sense that they would take the lead on initiatives within a community. Local governments wear many hats and work to balance a complicated array of responsibilities, so how do grassroots community issues get attention? Multi-sectoral committees that include or are lead by local government can make real change happen, but only if we learn to work together effectively. What multi-sectoral committees look like and how they work will vary by community and the purpose. What they have in common is a group of people that come together for a shared interest from a variety of backgrounds (healthcare, research, business) and organizations (not-for-profit groups, school districts, faith groups), all bringing with them their own reasons for participating. These committees may have ongoing work that focus on broad topics like food security, sustainability, and physical activity or they may have a particular purpose and end-point like going through a process to create a specific healthy policy change. Regardless of the purpose, a multi-sectoral committee can benefit from taking time to create a collaborative experience that is less about being politically correct and more about what can be created together. Roles and responsibilities for all members should be established in a collaborative manner so that members are contributing what each does well and is achievable given their capacity. 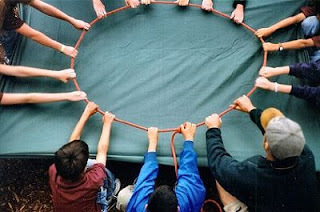 Leave room for wide-range of opportunities for involvement and keep the group small enough to allow full participation. Strong leadership is necessary to facilitate the process, keep on track and help stay focused on the purpose for the committee. The purpose for the committee should be established right up front so that those involved are buying into the concept from the start. This may be dictated by the funding source, event being planned, policy being reviewed or may be kept very general to leave room for the committee to grow and change. Avoid duplication and look at other committees or work that has been done to see why this one is different. The objectives (also known as Terms of Reference) of the committee are also something where a collaborative process is helpful at gaining buy-in from the members. Be sure to link these to the purpose for the committee’s existence and they will help manage members who may try to steer the group in a direction that better fits their mandate. This goes beyond being clear on the group’s purpose and objectives to make the work of the committee more sustainable. Even though the group may have a specific purpose and clear endpoint, orienting the work as a piece of a bigger picture provides legitimacy, direction and lasting effects beyond the targeted outcomes. Being intentional on how each member fits with the purpose and link to the bigger context of the group’s work can be a collaborative process that leads to identifying the strengths of the group as a whole. Going through the exercise of finding personal and organizational meaning for participation in the committee can go a long way in building a team atmosphere of dedicated members. Consider having all members name what meaning(s) exists for them out loud to the group and give space for this diversity. It is far easier to work together when you know what viewpoint everyone is coming from. The more group members are celebrated for their strengths and included in conversations about purpose, roles and objectives, the more committed they will be to the team. This doesn’t have to mean that everything is up for vote or discussion since funding sources or other factors may dictate direction, but communicating about any constraints and sharing why they exist can go a long way in facilitating the process of working together as a team. Join for a free public lecture by Dr. Stephen R. J. Sheppard based on his newly released book, "Visualizing Climate Change: A Guide to Visual Communication of Climate Change and Developing Local Solutions". Click here for more info and to register. 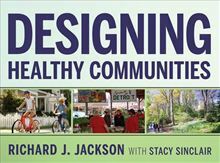 Designing Healthy Communities, the companion book to the acclaimed public television documentary, highlights how we design the built environment and its potential for addressing and preventing many of the nation's devastating childhood and adult health concerns. Dr. Richard Jackson looks at the root causes of our malaise and highlights healthy community designs achieved by planners, designers, and community leaders working together. Ultimately, Dr. Jackson encourages all of us to make the kinds of positive changes highlighted in this book.